Why are your prices so much cheaper compared optical stores and other Internet sites? Does VisionSave charge a membership fee? Do I need a prescription to purchase contact lenses? Simple. We keep our overhead low and we buy bulk. Because we have no physical storefront or sales people, we can pass on these savings to you. Does VisionSave charge a membership fee ? 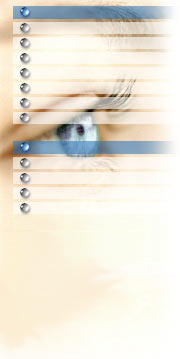 For US orders you will need to provide your eyecare professional's information. If you want to speed up the process please email a picture of your valid contact lens prescription (info@visionsave.com). If you are unsure which brand and type of contact lenses you require, you should consult your eyecare professional before ordering. 1. A contact lens prescription is not the same as an eyeglass prescription. In addition to the lens power, your contact lens prescription contains several other pieces of information related to the size of the lens. 2. Your prescription will also contain an expiration date. This is typically two years from the date that the contact lenses were fitted. 3. BC values range from about 8.0 to 9.5. The doctor fits the lens with the curvature most appropriate for your eye. Most lenses come in several different BC values. If your prescription does not contain a BC value, this is likely because your brand of lens only comes in one base curve. 4. BC values are a bit like clothes sizes - just because you are a BC 8.6 in one brand doesn't mean you will be in another. 5. If you are in a toric lens your prescription will contain two additional columns entitled cylinder and axis. These numbers related to the correction of your astigmatism. 70% of the lenses we supply are dispatched within 1-5 business days. If your order is an uncommon prescription it may take slightly longer to process. This is particularly common if you require Toric lenses which often have to be special ordered. This can take additional business days to process, therefore, please be patient. For international orders, we strongly advise you to check with the customs department in your country about its importation policies and they may differ in different countries. We are not responsible for any delays, sales taxes, customs duties or other taxes charged by your customs department. What is your Return and Refund policy ? All returns must be made within 15 DAYS FROM DATE OF RECEIPT and refunds will exclude shipping fees. For health reasons, only UNOPENED boxes or glass vials of contact lenses in original factory packaging can be returned for refunds. Please contact Customer Service at info@visionsave.com to request for a refund.